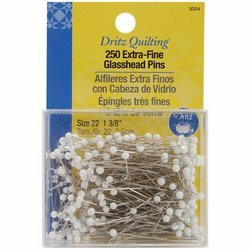 Dritz quilter’s extra fine glass head pins, 250 count. These nickel-plated steel straight pins are extra fine (.5mm shaft) and perfect for basting delicate fabrics and machine piecing. Featuring heat resistant 5mm crystal glass ball heads. Packaged in a reusable plastic box. Good Pins You can’t have too many pins! These are great…nice and sharp and the glass heads don’t melt or warp. With 250 pins in the package, I don’t think I’ll be running short anytime soon. 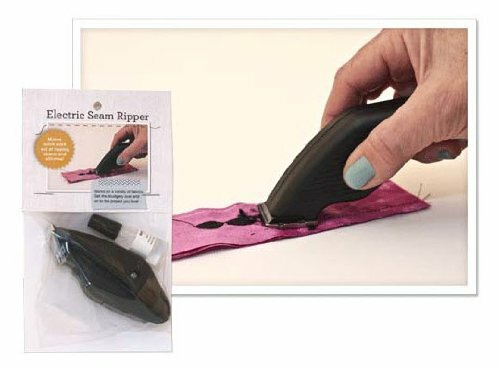 Best pins for general use These are by far the best pins I have found for general sewing use. They are long enough to stay where you put them. They are fine enough not to do any damage. They pick up easily with a magnet. And best of all, the heads are glass and they will not met.